Our strategy for this client focused on converting website visitors into leads. User experience, website design and CTAs were all reworked to make this happen. Our client’s website was in need of a refreshed look and an improved user experience. As part of our approach, we updated the site structure, branding, on-page content and implemented various call-to-actions (CTAs). Our client needed website visitors to convert into leads, and our strategy focused on making this happen. How do you encourage website visitors to take valuable actions on your website? Attracting users to your website is only half of the battle. If they’re unable to find the info they need, or there’s nothing to prompt their engagement, you’re missing out on an opportunity. 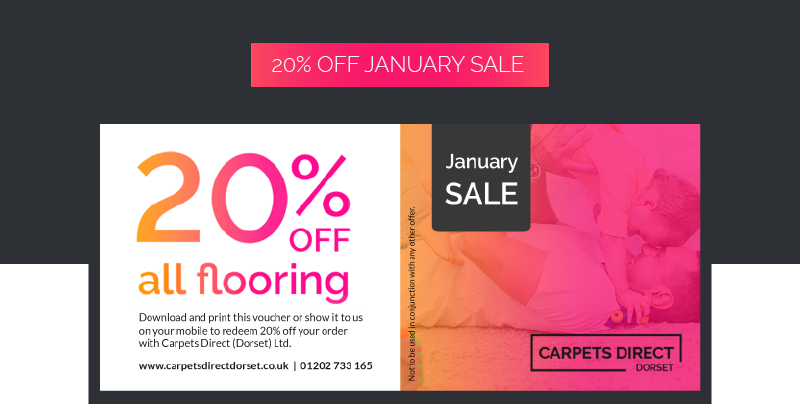 There are many ways to encourage website engagement, here’s a few examples of the CTAs implemented for this carpet shop Bournemouth. CTAs are great for prompting visitors to take valuable actions, but without a positive user experience, they won’t stay on your website long enough for them to convert. Our client offers a variety of flooring options, meaning that any user landing on their site could be looking for a specific product, or not have an idea at all. The site structure we built took this into account, leading to intuitive, easy navigation between pages. CTA’s were added on every page, ready to capture a users interest as they find what they’re looking for. What else did we do to encourage user interaction? Our client is a Carpet Foundation member, which is a big selling point for their company. It’s important that prospective customers know and understand what this means. It may be the difference between making a sale. A partnership badge alone isn’t enough to communicate this message to users, and instead of referring them to an external website (and them potentially never return), we created a page that details what this means for their customers. Having this information readily available is a great way to build trust with any website visitors, and encourage them to get in contact.